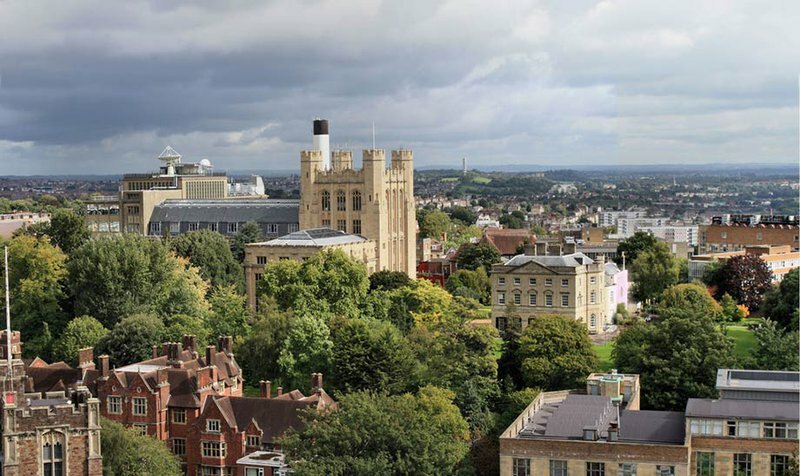 Seismic changes are shaking the foundations of British higher education. On top of the higher education bill currently going through parliament, which is going to have far reaching implications on the way universities operate, Brexit has left universities fearful of losing European staff and students, and of a reputational loss as the country becomes known as unwelcoming to immigrants. Brexit has already had a significant impact on international students within British universities, who report a growing sense of feeling unwelcome in the country. This is not just about hate crime and media witch-hunting however. New policies requiring strict checks on attendance and limiting international students’ ability to stay and work following their studies also contribute to perceptions of hostility. But if things are difficult for international students, there is a group for whom accessing higher education in the UK is particularly tough: asylum seekers and refugees. While some recent initiatives seek to open up higher education in UK to this group, they face many challenges. The past two years have seen a huge growth in scholarship opportunities for refugees and asylum seekers in UK universities as well as the launch of the ‘universities of sanctuary’ initiative. These projects are hampered, however, by a whole range of political, economic, social and cultural barriers that exist to prevent people with unresolved immigration status from accessing university. Below I explain further how this broader policy context makes it difficult for universities to welcome sanctuary seekers, and why Brexit endangers the growing culture of welcome which has been developing as universities ask: what can we do to help the asylum seeking community? The foundations upon which the right to remain in the UK is granted to forced migrants is increasingly precarious, as every award of refugee status is only ever temporary. Numerous academic and NGO studies have argued that the focus for the UK government is on delaying, deferring and if at all possible avoiding awarding the permanent right to remain in the UK, and the security that is required to settle and establish a new life. The focus for the UK government is on delaying, deferring, and if at all possible avoiding awarding the permanent right to remain in the UK. Different immigration statuses afford different rights and entitlements, which impact directly upon access to studying in a university. Refugee status was once considered ‘settled’ and permanent, however new guidance from the prime minister now directs the Home Office to undertake ‘safe return reviews’ after a period of five years. These checks will determine if the circumstances upon which the individual’s claim for asylum was based have changed, with a view to being able to return them to their country of origin. For at long as they have it, refugee status does afford recipients the right to be categorised as a ‘home’ student for the purpose of tuition fees, as well as access to student finance. An award of humanitarian protection provides the same entitlements, but unless the individual is considered to have been 'ordinarily resident' in the UK for three years prior to commencing their studies, they are ineligible for student finance. Apart from these, most of the other types of status within the forced migrant category neither qualify individuals as ‘home’ students nor grant them access to student finance. These include anyone who is actively seeking or appealing a claim for asylum, or submitting fresh evidence to support a new claim for asylum; and any form of temporary immigration status, referred to as limited or discretionary leave to remain. In recent years universities have been increasingly perceived as neoliberal institutions, in terms of the way they are managed and the focus on a ‘market’-based approach to ensure the growth of income alongside more traditional functions around knowledge production. At the same time, it has become increasingly apparent that, post-Brexit, the government is not ‘rolling back’ its control but instead tightening its regulation of universities. This is especially true when it comes to the management of the international student population. Universities invest considerable resources in the recruitment and retention of international students, not least because they are a key source of income. These students and the universities in which they study are subject to intense scrutiny and surveillance from the Home Office under the regulations governing international student visas (Tier 4). These regulations clearly state, however, that they only apply to students applying for Tier 4 visas to study in the UK. They do not extend to other groups that only become classified as ‘international’ because they do not meet all the criteria required for ‘home’ student status. Unfortunately universities do not always abide by that limited scope, and as the case studies below demonstrate Tier 4 compliance rules are being increasingly applied to these other groups of international students post Brexit. One such group included within the international student population are forced migrants, the majority of whom are categorised as international because their immigration status remains unresolved and their future in the UK uncertain. They are therefore denied the label and benefits afforded to ‘home’ students. In part, this is positive because asylum seekers and refugees are not officially under surveillance within universities, as international students on Tier 4 visas are. However, they do often experience widespread surveillance in all other areas of their lives as a consequence of being in the asylum system. The right to access higher education is enshrined in law but is not always achieved in practice. Article 26 of the Universal Declaration of Human Rights (1948) includes access to education as a human right, while Article 2 of the European Convention on Human Rights Human Rights (ECHR) – upon which the UK’s Human Rights Act (1998) is based – states that no person should be denied the right to education. However, this is a qualified right, which means its interpretation and application is dependent on nationality and immigration status. International students and the universities in which they study are subject to intense scrutiny and surveillance from the Home Office. The law is ambiguous in that it neither explicitly includes nor excludes forced migrants from university. While immigration law does not preclude access, their de facto exclusion is legislated within student support regulations defined by the Department for Business, Innovation & Skills (BIS). BIS determines forced migrants’ ineligibility for the funding required to pay university tuition fees and meet the cost of living through maintenance loans. The preclusion from financial support has been interpreted broadly as the exclusion of forced migrants with unresolved immigration status from higher education. In using student finances rather than a more explicit ban, the government dodges the charge of dictating whom a university can educate while still achieving the same end result. In spite of all these barriers and disincentives to include this group, initiatives have been growing in the UK since 2005 to try and establish routes into university for forced migrants of all kinds. This was, unsurprisingly, instigated by a group of young people affected by these issues. The success of their endeavours led to the establishment of the Article 26 project, the overarching aim of which is to support universities to develop tangible opportunities for forced migrants to access university, and connect universities to prospective students. A ‘typical’ scholarship includes a full tuition fee waiver coupled with additional financial support or ‘in kind’ contributions to enable both access to, and success in, university study. In academic year 2010/11, three scholarships were available. Fast forward to academic year 2016/17, and over 74 bursaries were advertised at UK universities. This growth reflects not just the activities of the Article 26 project, but the work of supportive NGOs and the response of universities to the recent ‘summer of migration’ in 2015. The increase in both support projects and forced migrants has come with increasing visibility as well. This has brought some forced migrants into contact with the university teams responsible for regulatory compliance, who have become increasingly risk averse post Brexit. One very specific concern connected to this is that the Home Office will impose new borders to curtail the opportunities available for these students. Universities’ reaction to their increased scrutiny is evident within three recent examples of attempts to de-register students – one successful, two not – owing to the institution’s concern regarding their immigration status. I collected the case studies through my doctoral research and in my capacity as the Director of the Article 26 project. University A deregistered a student who was a dependent on his mother’s claim for asylum, owing to the fact that the Home Office advised it would result in a negative decision. This advice was received from the Home Office department responsible for Tier 4 visas (the international student visa) and not for asylum decisions. The Home Office also suggested that the retention of this student could lead to the university undergoing additional scrutiny during the next audit of their international students. University B refused entry to a student who was actively seeking asylum, even though they had been offered a place and had managed to raise the necessary funds to independently pay their tuition fees. This appeared to directly contradict the fact that another student who was seeking asylum had been accepted by the same university to study on their scholarship programme. University B’s compliance team then attempted to deregister the student awarded a scholarship for the same reason. The same situation occurred at University C, again due to the fact that the scholarship beneficiary’s immigration status was unresolved. There was no legal basis upon which to prevent any of the students concerned from studying in higher education – acknowledged by the Home Office’s inability to insist that University A deregister the student in the first example. At University B and University C, there was no evidence of an intervention on the part of the Home Office – only self-regulation and desire to avoid risk within these universities. The security and sustainability of existing schemes, and the establishment of new initiatives, is at risk post Brexit. The interest in creating opportunities for asylum seekers and refugees to study in the increasingly inhospitable UK could potentially be overpowered by fear of Home Office reprisals. Yet it is important that such opportunities continue to be made available, as the success of the scholarship beneficiaries has the power redefine the pejorative stereotypes of forced migrants as ‘beggars, scroungers, criminals and at worst terrorists’. This profile doesn’t marry with those pursuing a university education with a view to attaining professional employment, defining their own strategy to ‘belong’ and contribute to UK society, in the absence of any government provision. The Article 26 project has sought to create tangible recommendations to support universities weighing the risks of including students from a forced migrant background. ‘Establishing a Legal Basis for Article 26’ and ‘Who Needs to Comply?’ serve to reassure universities of their legal right to educate anyone who is lawfully present in the UK. Universities must assert their right to facilitate access for these students, by registering them into and supporting them to complete a degree programme. Resistance in everyday activities is also required of and undertaken by the students themselves. They continue to pursue the necessary qualifications for university admission, often in the absence of a clear access route. If these ‘everyday’ activities were embraced by staff across individual universities, extended across the sector, and effectively coordinated, it would constitute a widespread, powerful rejection of the exclusion of forced migrants, one of the most excluded student groups in British higher education today.